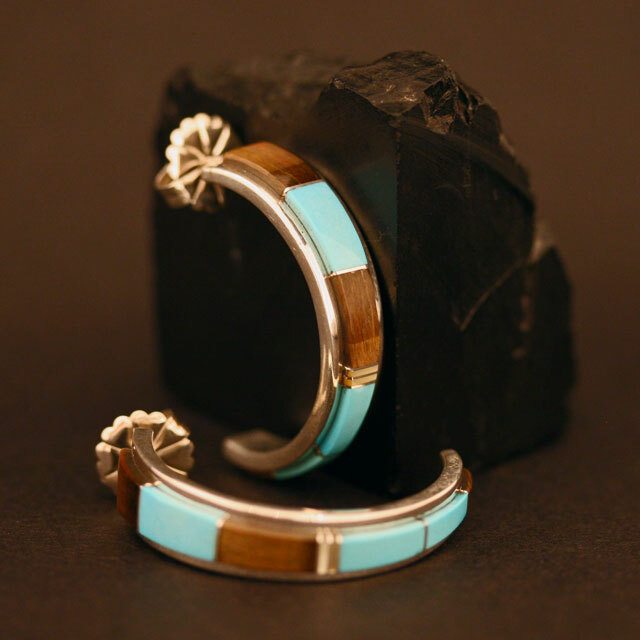 These finely crafted hoop earrings are seamlessly inlaid with bands of carefully chosen Sleeping Beauty turquoise and tiger’s eye set in sterling silver, handmade by Duran Gasper, Zuni Pueblo tribe, NM. The earrings measure 3cm in length and are finished with sterling silver flower shaped ‘butterflies’. 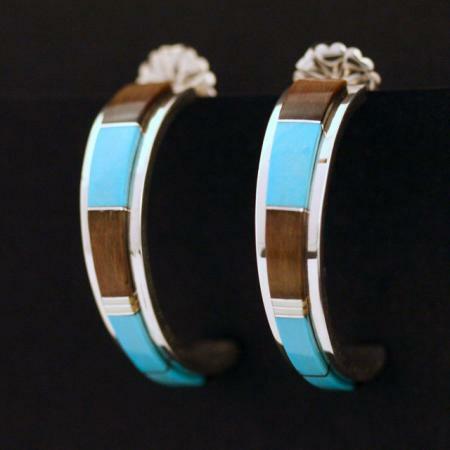 Inlaid Hoop earrings expertly hand crafted by master lapidary worker Duran Gasper of the Zuni Pueblo tribe. The Zuni are known for their skill in the creative arts and intricate inlay work is characteristic of much Zuni jewellery. Duran Gasper is one of the outstanding masters of this technique. 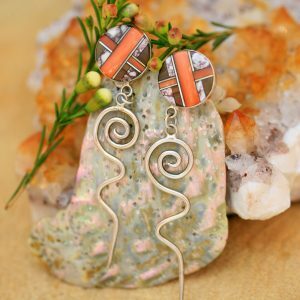 These finely crafted hoop earrings are seamlessly inlaid with bands of carefully chosen Sleeping Beauty turquoise and tiger’s eye set in sterling silver. 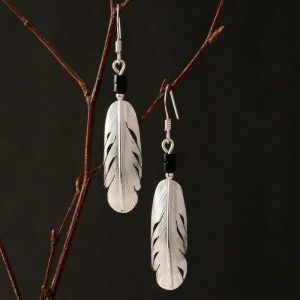 The earrings measure 3cm in length and are finished with sterling silver flower shaped ‘butterflies’. 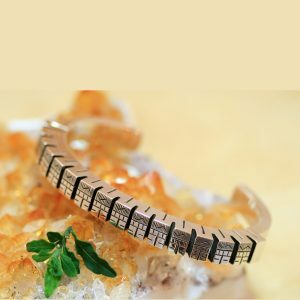 Duran Gasper has been making extraordinarily beautiful jewellery for Rainmaker Gallery for over 20 years. Zuni is the largest of New Mexico’s nineteen Indian Pueblos with more than 600 square miles of reservation land and a population of over 11,000. With a unique language, culture and history that has resulted in part from geographical isolation, being located much further south than the other Pueblos, Zuni Pueblo is considered to be one of the most traditional of all the Pueblos. The Zuni Nation has its own constitutional government, courts, police force, school system and economic base. Around 80% of families are involved in the creative arts.